Journey Replay is an interface that reinforces the driving experience in an autonomous vehicle right after the ride. It offers a second chance to build understanding and trust between the driver and the autonomous technology. The entire autonomous journey is visualised in a 3D environment in the upper section of the display. It explains various events happen in the journey in different locations. Driving an autonomous vehicle is about collaboration between the driver and the technology. The interface explains what the vehicle understands with sensor visualisation panels at the bottom of the display. It makes the vehicle’s decision making process transparent and comprehensive. An autonomous vehicle needs to deal with complex driving situations than just being perfect in a controlled prototyping environment. 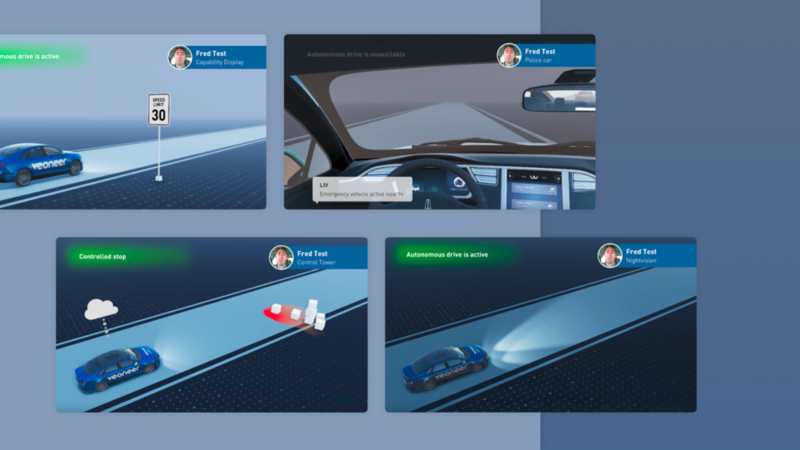 The interface also has a path panel to visualise each of the decision point and other possible results if the driving environment has been changed.